Corvus Insurance, a tech-enabled MGA, was founded in early 2017 in order to leverage existing technologies and data that might be used to predict and prevent commercial insurance claims. Putting this data to work can greatly improve underwriting, loss control and claims outcomes while driving down the overall cost of risk to organizations. Corvus hopes it will make the world a safer place. Corvus, comprised equally of veteran tech and insurance leaders read the same tea leaves that were available to everyone in the commercial insurance industry in the past few years. Data is everywhere and expanding exponentially. Experts and futurists all predicted that IoT data would empower new innovation in insurance. Incumbent insurers are as aware as any tech startup about this opportunity. 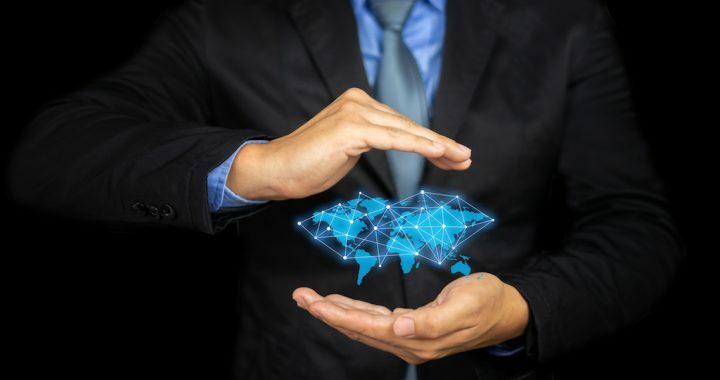 A recent LexisNexis survey reports that 70% of top insurer executives think having an IoT strategy is important while 79% report that they don’t have an IoT strategy. Why did it take this long to happen and how did a little startup pull it off? At first it is difficult to understand why no other insurer had demonstrated success in IoT. Data from sensors can be used to predict the likelihood of a claim if the data measure a precurser to a major type of claim (pressure from the weight of snow on the roof) or if they can measure and respond on the spot to slowly developing claims (think water leaks). Given that data, Corvus could select it s customers and price its commercial products better than competitors. And, Corvus could use the data to warn customers about impending or more likely claims, something we now call Dynamic Loss Prevention™ to bring added value to customers by helping them to act to prevent claims from happening. We could even use the data to provide benchmarking and other business intelligence as a differentiator. So, how did the journey take shape? We started by looking at use cases (that’s the tech vocab) for causes of loss. We tried to answer the question: What causes of loss are monitored by sensors with data collected? That was easy, sensors are indeed everywhere – in vehicles, on machines, on HVAC systems, security systems, temperature sensors, light sensors, and water overflow sensors. That is part of the problem, sensors are in too many places to start to narrow the search. So, we decided to start at the other end of the problem. We asked the question: what industries had a lot of claims that might be predicted by sensors? While we could find some use cases in liability insurance most were related to property insurance. Still, lots of industries share the same set of common losses – theft, fire, temperature, collapse. Our initial focus was on buildings since they sometimes had integrated systems for a combination of insurance perils like theft, water leakage, and fire. We contacted numerous large sensor companies and some niche players, as well. They all seemed aware of the opportunity to use data to predict and prevent insurance claims. They were willing to work with a startup like Corvus, too (perhaps because we had funding from Bain Capital Ventures). We started to negotiate terms, it all seemed great. Except for one thing. They would not give us the names of their customers, and it seemed we could not guess at that since most of them had modest market shares. If we presented an IoT empowered insurance product to brokers and told them it was good for any building owner that had sensors from company A, the brokers would quickly retort: how will we know if my client’s building has sensors from company A, they only represent 10% of the market so I will be wrong 90% of the time. Worse, most of the use cases lacked even rudimentary data to predict which data scores are predictive of claims. Back to the drawing board. That forced us to think narrowly. What industry bought a lot of insurance for a significant risk that could be predicted by data from sensors? We eventually found our way to the market leader for temperature sensors for food and pharmaceutical goods – the major cause of loss for goods in transit for these companies was spoilage. And they measured the temperature of the goods frequently, not for insurance purposes but for regulatory reasons. Finally, time to roll up the sleeves. In April of this year, we launched Smart Cargo Insurance™ coverage to insurance agents and brokers and their clients in the Food and Pharmaceutical industries. We are quoting and binding business. While it is too early to declare victory, we achieved a small milestone for the insurance industry. The first commercial IoT-based Insurance policy. Not only does the policy allow us to better price risk, it also allows us to identify accounts with the lowest risk factors. And we respond to that by offering broader coverage, particularly around the spoilage peril, to accounts with high scores. We don’t stop there, however, since we use ongoing data from the IoT sensors to inform us about trends for our insureds, providing them with Dynamic Loss Prevention™ reports that can help prevent a claim. And we use minute by minute shipment data to enhance our subrogation rights, allowing us to reduce cost for us and the policyholder. But, what we learned along the way is that our model, our playbook if you will, is just as applicable to any new source of data. So, while building a IoT policy is a happy milestone for Corvus and the insurance industry, it has exposed us to thinking about other sources of data to inform underwriting, loss control and claims, all to benefit the policyholder and their broker.